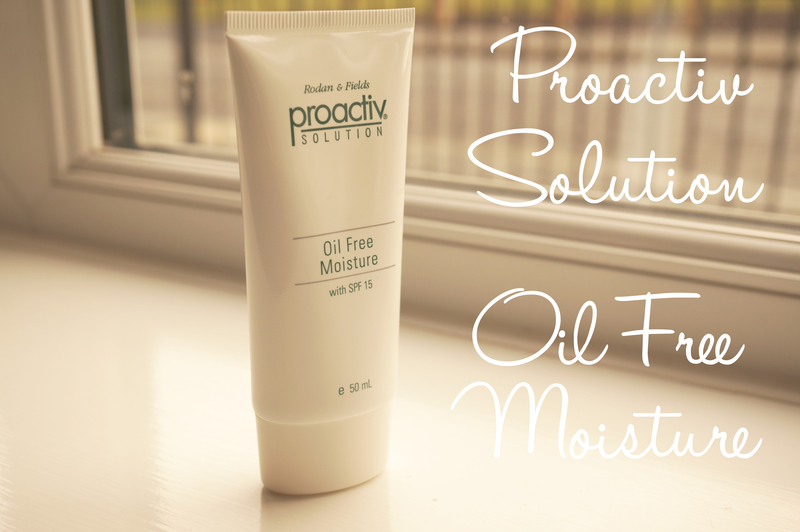 Today’s review is of Proactive Solution Oil Free Moisture. Clinically proven to be effective on problem skin and developed by the dermatologists behind the best-selling Proactiv® range, the new Proactiv® Solution Oil Free Moisture SPF 15 has been designed to help soothe, protect and re-energise blemish-prone skin in one simple step. Sounds good right!? Extremes in weather and environmental factors can exacerbate some existing skin conditions or even cause new ones. Over time, skin damage from sun exposure or pollution can cause wrinkling, premature ageing and blemish outbreaks due to excess sebum production, particularly if you already suffer with acne-prone, oily skin. By protecting your skin with a moisturiser containing an SPF as part of your daily skincare routine, you can actively prevent the damage to your complexion caused by free radicals such as the sun, city-grime and smoke. Suitable for all skin types and dermatologically tested, this lightweight lotion can be used as a moisturising treatment by itself or as a pre-makeup skin perfector. A gentle multi-tasker, Proactiv® Solution Oil Free Moisture SPF 15 leaves skin hydrated, protected, shine-free and feeling silky soft. Containing a broad spectrum SPF 15 to help shield against skin ageing UVA and harmful UVB rays, Proactiv® Solution Oil Free Moisture SPF 15 absorbs excess oil to keep the complexion blemish-free, yet beautifully hydrated. This moisturiser can also be used over the Proactiv® Repairing Treatment contained in the Proactiv® 3-step system. Next Post Cult Furniture Wish List! I’ve tried Proactiv before (the whole regime) and unfortunately, it caused even more breakouts than what my skin first had; horrible large, cystic lumps. Because of my previous experience, I really couldn’t use any of the products again in case the same thing happened, although I have seen brilliant results on other people.